Back row: Bodin , Nijholt, Kilcline, Digby, Scott, Hammond, Taylor, Thomson, Murray. Third row: MacLaren, Robinson, Berkley, Viveash, Fj�rtoft, Hamon, Mutch, Phillips, Gooden. 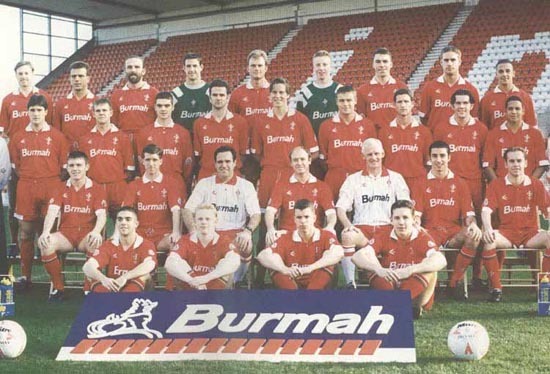 Second row: Beauchamp, Ling, Rowland (coach), McMahon (manager), Trollope (youth team mgr), Horlock, O'Sullivan.